Etna (Sicily, Italy): Ash emissions from NE crater continue, but seem to be decreasing in intensity. Another of the summit vents seems to be becoming protagonist in the current eruptive phase: the NE crater has been producing near-continous small to moderate ash emissions throughout the night and the morning. Incandescence was occasionally seen at the base of the plumes as well, suggesting strombolian activity. Colima (Western Mexico): Explosive activity at the volcano remains quite intense. On average every 2-3 hours, vulcanian explosions occur from the summit vent, producing ash plumes (often with lightning) of up to 3-4 km height and showering the flanks with incandescent ejecta. 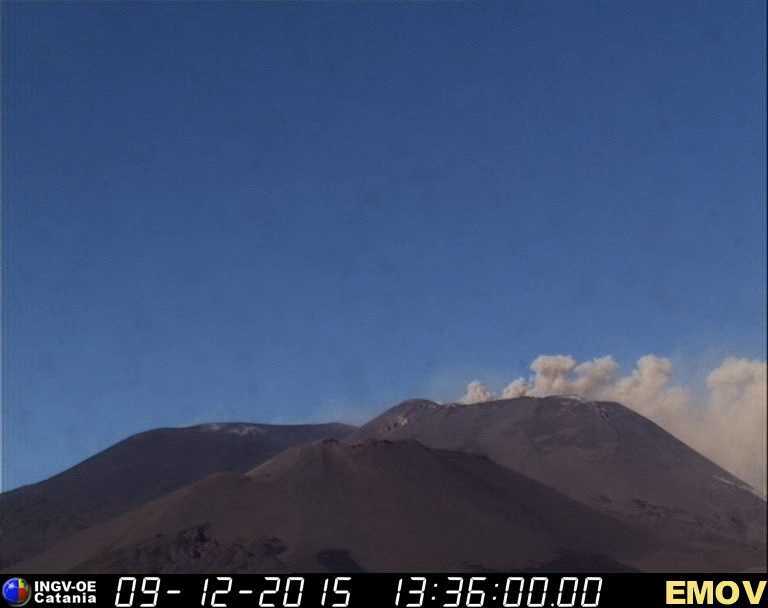 Turrialba (Costa Rica): During the past week, the volcano's activity has again picked up a bit. New ash emissions, have been occurring again sporadically since 1 Dec.